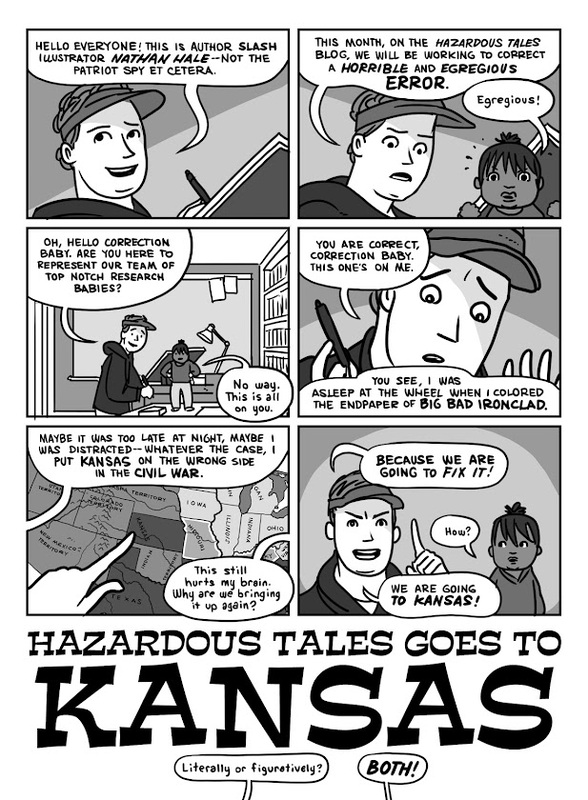 The Hazardous Mondays in April will all be dedicated to Kansas! We made a HUGE historical error, and we are going to fix it! We are going to learn why Kansas wasn't a Confederate state--why it was a "Free State," and how it happened. We are also going to visit Kansas on an official apology and correction trip. When we are finished, all Hazardous Tales readers will know how to correct their own copy of Big Bad Ironclad! Stay tuned! I already guessed that, and thanks to your Ironclad book, I impressed my teacher! I told her who was most likely to be the first guy to die in the Civil War- Private Daniel Hughes, or whatever his name was. I owe ya a lot, sir!